Optional Sensor & Input/output boards. 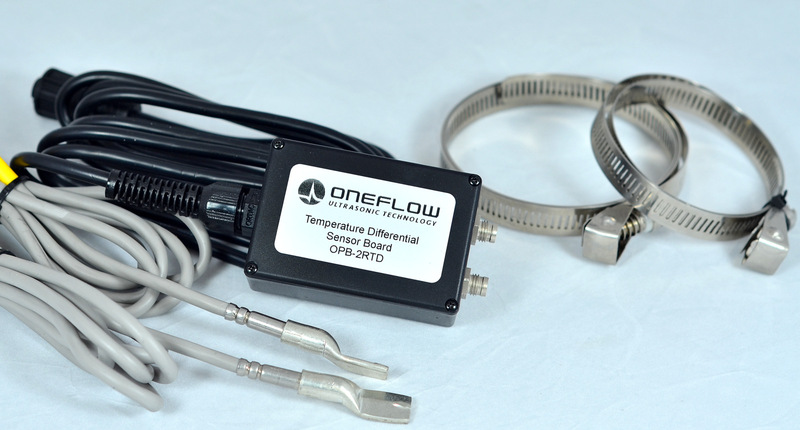 The ONEFLOW 400 Series flowmeters have a special ‘OPTIONS’ connector wherein functionality can be added to create custom input / output. At this stage there are two options the dual temperature input board (for energy flow measurement) and a relay input output board for additional input/output. It has 2 inputs and 2 outputs that can be configured as pulse or frequency outputs. On site there is a wide range of pipe schedules available, so in our experience in order to get the best measurement we recommend that you purchase the optional wall thickness gauge 400-THKGAUGE. 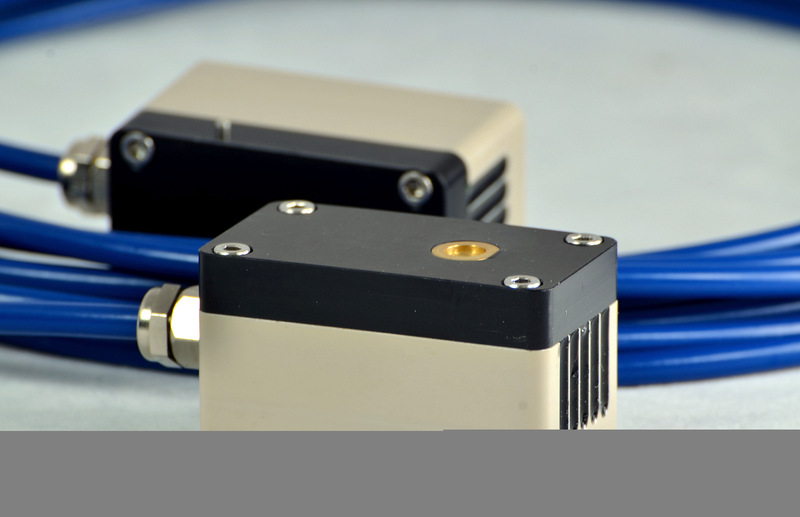 A critical component of any ultrasonic system is the sensor. 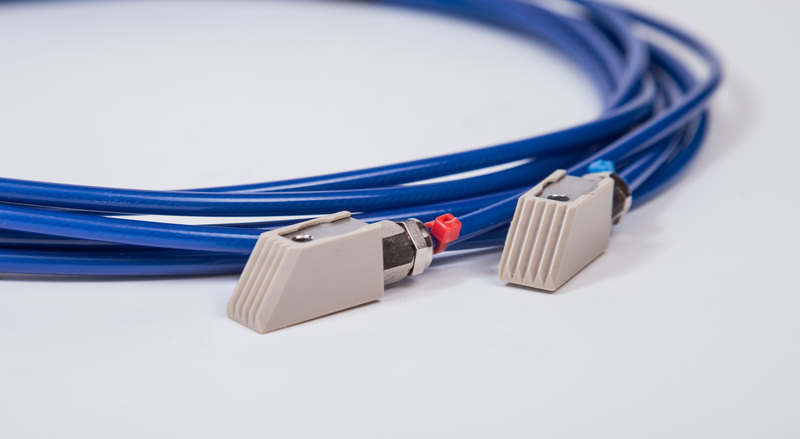 ONEFLOW have worked for many years in order to achieve a high performance sensor. 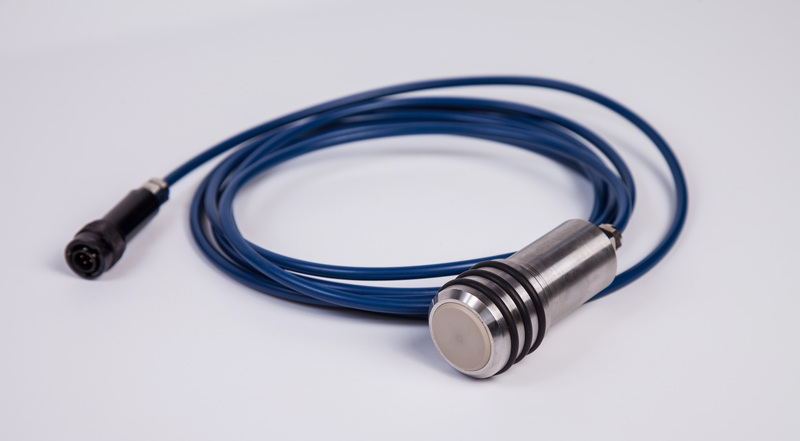 We use the best Piezo materials available and test each one thoroughly in order to make pairs of sensors that offer fantastic efficiency and first class measurement performance. The sand coloured thermoplastic offers fantastic wear resistance, it is one of the toughest thermoplastic materials available. The 400 series also boasts sensor identification and stores calibration data inside each sensor. There is no longer any need to have to check sensor type numbers. We have simplified sensor selection and it is done on pipe size. Small, standard and High Power. 4 Mhz, 2 MHz, 1 MHz and 500 kHz. Often we find that the standard sensor works well on most pipes from 50 mm to 0ver 2 metres, so we always recommend the standard 1 MHz sensor to start with. ONEFLOW also offer an optional pipe wall thickness gauge which is essential in order to get the best from the flowmeter. Sensor Clamping: Fast and accurate installation on site is essential. 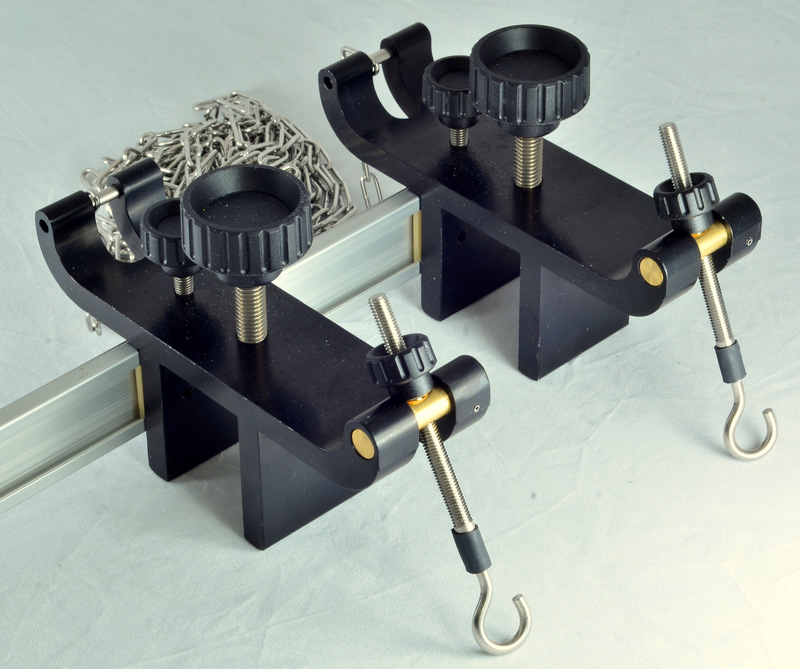 ONEFLOW have worked hard to ensure that all the clamping fixtures are effective and easy to use. We are pleased to offer a wide range of rails for both temporary and permanent fixing, including Magnetic Fixing Block for ferrous pipes. Standard Temporary Rail (STD-RAIL-T) – For the temporary fixing of the standard sensors (SENS-STD-XM-Xm) of all pipes in the range of 50mm to 3 metres in direct (Z) and V mode. This rail is well proven having remained unchanged for many years. 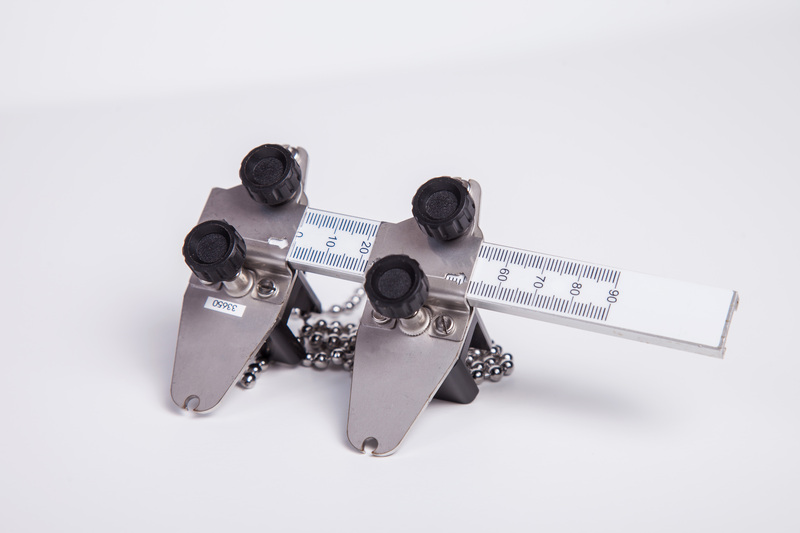 The clamping tension is achieved through the use of a simple chain and hook fastening system. Supplied with 2 metres of standard chain. Chain extensions are available for pipe sizes greater than 600mm. Small Rail (RAILMINI-T) – For the temporary fixing of the small sensors (SENS-MINI-4M-3m) on all pipes in the range of 13 to 100 mm in direct (Z) and V mode. Made from Stainless steel, anodised aluminium and plastics, this non-corrosive precision rail, with bead chain fastening system is ideal for fast accurate site installations. Magnetic fixing block (MAG-BLK-STD) – For the fixing of standard sensors to ferrous pipes. 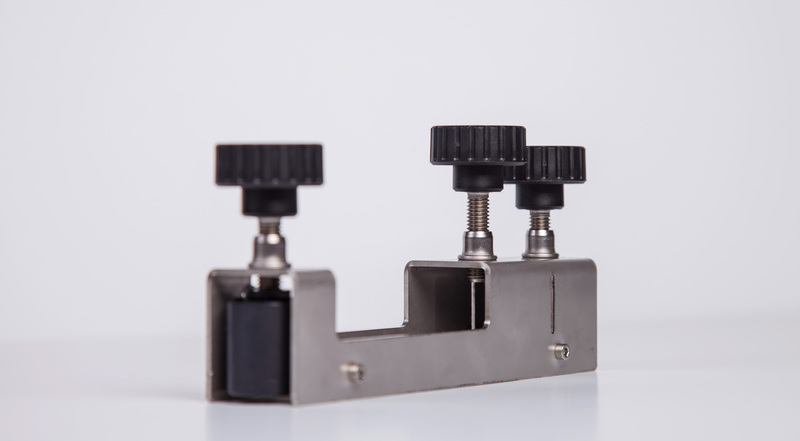 The stainless steel magnetic fixing blocks uses two 10 kg holding force Neodymium rare earth magnets to securely clamp the standard sensors onto all ferrous pipes in the range from 50mm and up. This is also an ideal mechanism to add a strap over the top for semi-permanent large pipe installations.